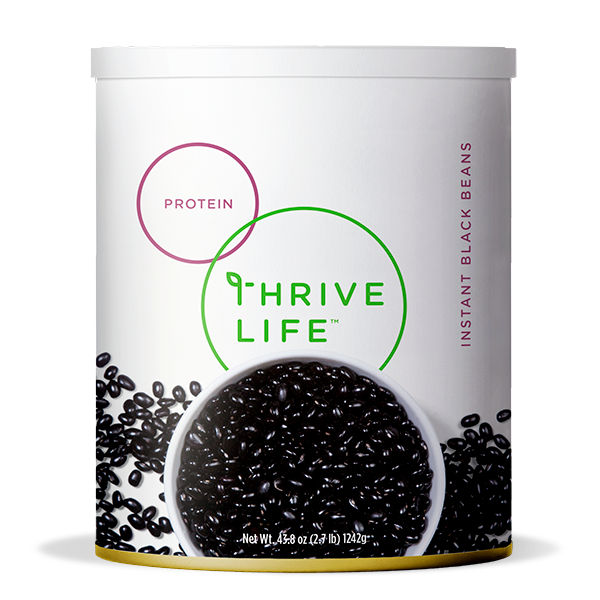 Our Thrive Instant Black Beans will help you spend less time in the kitchen. Boiling dried beans can sometimes take hours, but with Thrive Instant Beans you can prepare great meals in no time at all. Whether you use our instant beans for homemade refried beans, Boston Baked Beans, or bean soup, you will know that you are using a quality, long-lasting product that is an excellent source of protein and fiber.